Is your organisation defined by 1940s management thinking? ‘Mission, Vision, Values’ is a management tool introduced in the 1940’s. A time before globalisation, before mass commoditisation and before the digital economy. It’s time to rethink how your organisation defines itself. One of the toughest challenges for any CEO driving change is defining what the organisation uniquely stands for. This is made significantly more difficult when you’re using a management tool introduced 30 years before the invention of the personal computer! Ideology is a new model for modern organisations that want to define themselves in a more meaningful, effective and strategic way. Ideology gets to the real heart of what you do as an organisation, clarifies why it matters to your customers, defines your ultimate corporate objective and articulates the principles required to get there. The Ideology model has been designed from the ground up to build organisations of true believers. It is human-centric, simple, and easily understood by everyone from the C-suite to front-line staff, investors and shareholders. Unlike ‘Mission, Vision, Values’, your Ideology is unique to you. Unlike ‘Mission, Vision, Values’, your Ideology is unique to you, differentiating you from everyone else in your sector and allowing you to engage more effectively both inside and outside your organisation. And it’s highly-focussed customer lens means it provides the perfect foundation for your customer value proposition and subsequent marketing communications strategy. Ideology defines and articulates a clear and meaningful picture of who you truly are as an organisation, where you are going and how you’ll get there. 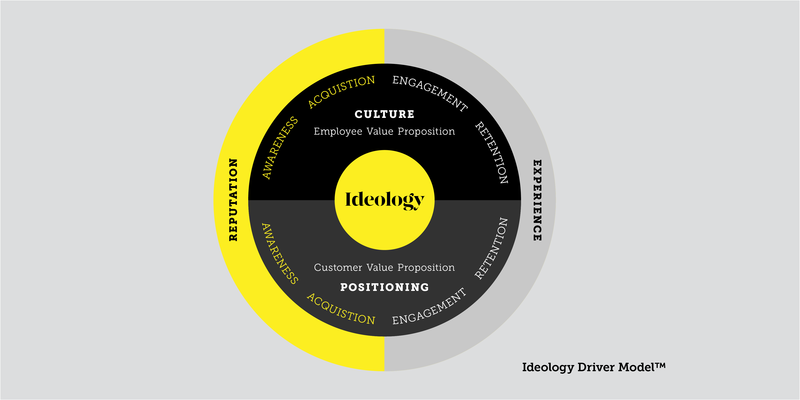 Your ideology sits at the very heart of your business, internally driving your culture and Employee Value Proposition, and externally driving your positioning and Customer Value Proposition. 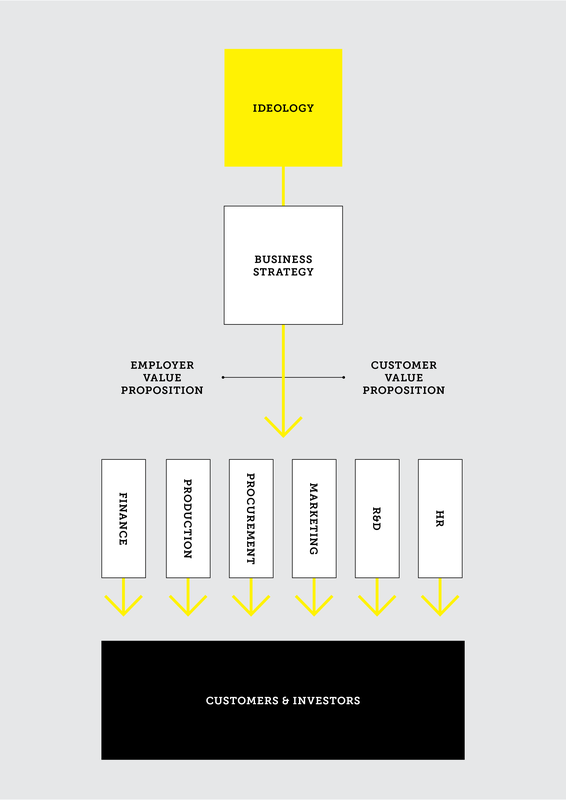 Business strategy, brand and culture are difficult to align using the traditional ‘Mission, Vision, Values’ methodology. The ideology model has been developed to bring into line all three so the customers and investor experience is consistent and cohesive across every department in the entire organisation. Every CEO who has told us their ‘Mission, Vision, Values’ is set in stone, has changed their mind after we presented our new Ideology model. To see this completely new way of defining your organisational identity, contact Ideology Managing Director, Jaimie Ratten.